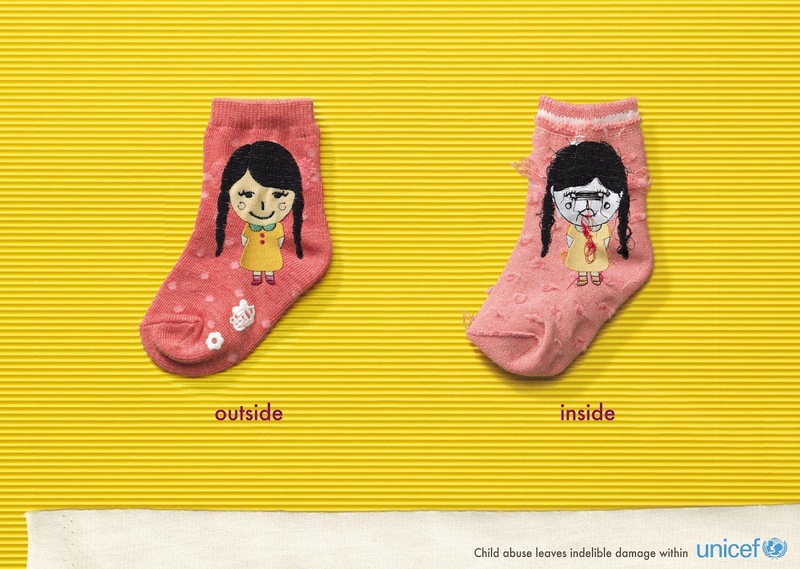 To bring awareness to the affects of child abuse in Korea, agency Cheil Worldwide worked with Unicef to create these clever ads. 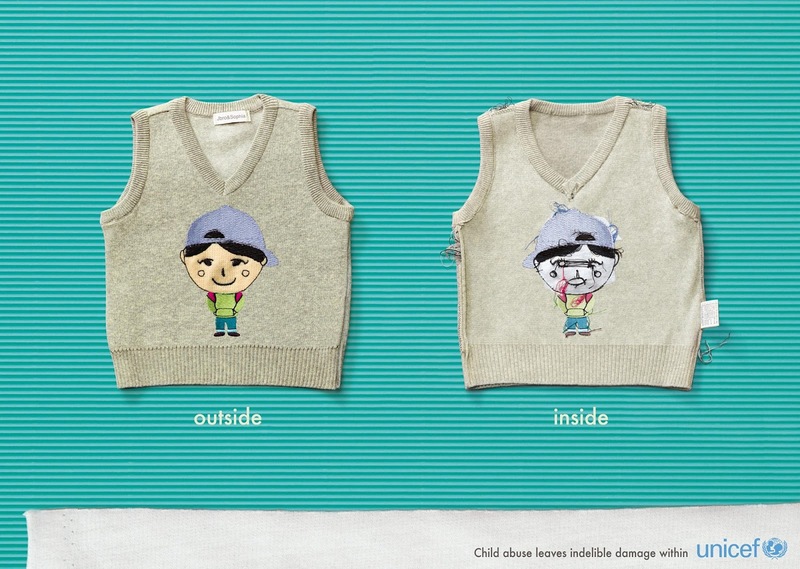 The ads use children’s clothing to showcase the internal damage that lingers long after a child has been abused. 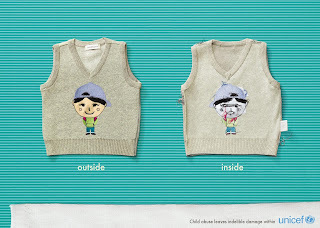 From the outside the images on the clothing look normal, but inside the clothing... the real damage is revealed. The message: Child abuse leaves indelible damage within.